To Sand Or Not To Sand? 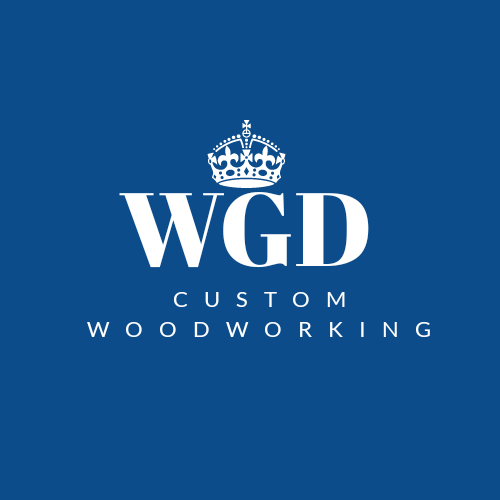 – Wood Grain Dreams Co.
Sanding can be the most time-consuming part of any woodworking project.I’m creating this post because I have found myself in this dilemma more than once when working on a wood project. I have wasted countless hours, not to mention an enormous amount of energy sanding a project just to end up with a finish that wasn’t necessarily wanted, desired, or needed. Hopefully this short post can help you from making the same mistake and be a little more insightful towards the sanding of your woodworking projects. Hardwood box during sanding stages. The key to figuring out the amount of detail you want to put into your woodworking project is in the planning. I don’t mean the dimensions or materials needed, I’m talking about what you want the end result of your project to be or look like. Is it going to be a highly detailed piece made with precision cuts and miter or are you going for a rougher, rustic, farm look? This in itself tells you the level of sanding you will need to do on your projects. For the high detailed projects you are obviously going to need to pay a high level of attention to your sanding from start to finish. Starting with a rough grit (around 60 grit) and working your way all the way to somewhere around 3000 grit. I personally start with a 60 grit, getting all the saw marks out of the wood, then move onto a 80 grit, then 120, 220, at 400 I start getting the wood damp with a wet cloth to raise the grain. I eventually work my way up until somewhere around 3000 grit, ending with a mirror like finish. Little to no sanding on a project like this. The rougher looking projects are where I found myself wasting my time over-killing the sanding when it just didn’t need it. My suggestion for these projects is to run each piece of wood over a belt sander once or twice to basically clean it up before putting the project together and that’s it. To sum things up, simply be conscious of your woodworking project and keep your end vision in sight when deciding how much detail to put into your sanding. Previous Woodworking Is Not About The Money.